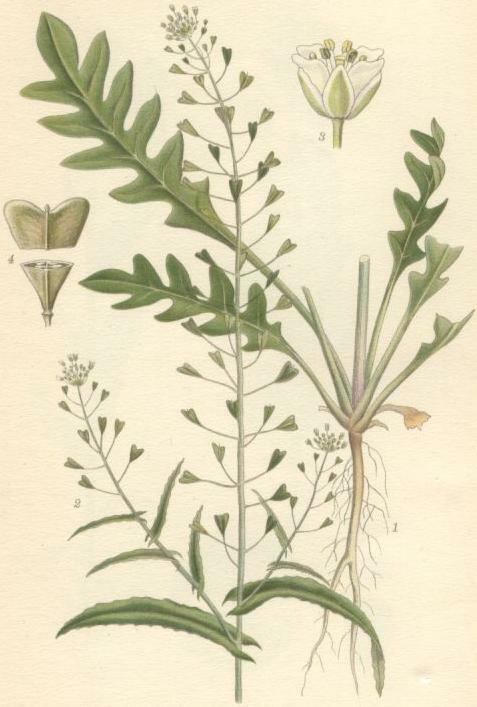 Capsella bursa-pastoris is an annual or winter annual herb, to 60 cm (usually much shorter) in fruit, few branches. 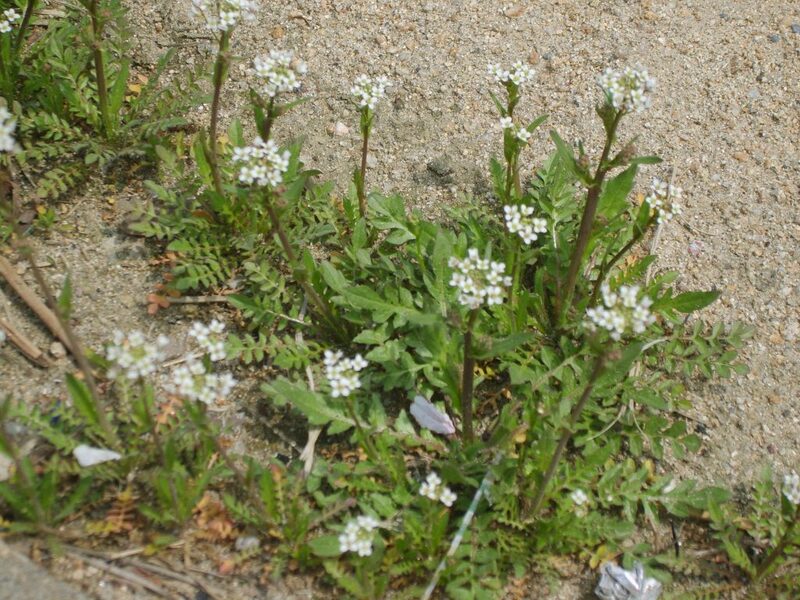 Leaves alternate, those of basal rosette to 10 cm long, narrow, pinnately lobed, wider near top, overwintering, stem leaves narrow much smaller, linear, usually toothless, clasping stem. Flowers white, 4-parted, petals to 0.4 cm, sepals shorter, crowded at top of elongating unbranched inflorescence, generally blooming in cool weather March-April, then sometimes in fall, self fertile (autogamous) but visited by bees and flies (Mulligan and Kevan 1973). Fruit dry, triangular- to heart-shaped, to 0.8 cm long, flat, widest at notched tip, on stalks about 1.5 cm long, seeds about 0.1 cm, red-brown (Levine 1995); plant usually dead by summer, rosettes grow in fall. Habitat: An agricultural weed. Open ground, roadsides, ball fields, lawns.